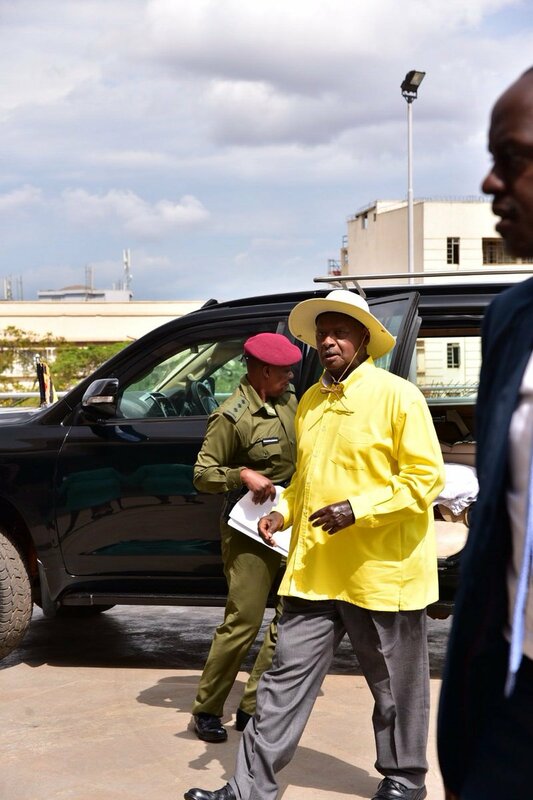 KAMPALA – President Museveni, addressing parliament, has said Uganda is stable and will never need United Nations peace keeping missions for help. The president while addressing Members of Parliament on Wedesday afternoon at the Parliament in Kampala said, “We don’t need United Nations to defend us and we shall never need them, we are not “Kateyambas”, that’s why we never have UN to defend us, and we shall never having the UN to defend us,” the president said, adding that it is the advantages of having educated army. He also decried the low budget allocations to security department especially Uganda People’s Defense Forces among others. “How do we defend ourselves when we don’t have a big budget, how is Uganda able to have a strong army without a big budget. How do we do it?” the president said adding that the security of the country is underfunded compared to other departments. He, however, said that despite the low funding, the UPDF has managed to fight criminality especially rebels in northern Uganda and some parts of the west. “Since 2007, Uganda has had peace from corner to corner for the first time in the last 500 years. He said that crime escalations is as resulted of police negligence in fighting criminality.